Software solutions trusted by hundreds of NHS GP practices to improve their efficiency, quality and access. Our mission at accuRx is to help practices thrive by providing great software to support high quality, efficient and accessible care. Our products have been designed and developed alongside our GP surgeries to fit their needs and solve daily pressures and problems. Our EMIS-accredited software is trusted by hundreds of NHS GP practices. 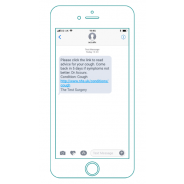 A messaging service that allows you to directly text your patients. It can be used to send advice, notify a patient of normal results, remind them to book appointments, leave a message if you fail to get through and much more. This saves your clinical and administrative time, improves patient experience and reduces postage spend. Empowers receptionists to manage appointments effectively through signposting to the most appropriate service for the patient. Reduce unnecessary appointments, improve induction for new receptionists, bring consistency across the workforce and shift workload from GPs to the wider clinical team. Search for up-to-date local services, practice protocols and important numbers quickly and easily. Save time for your reception staff and clinicians. I like this system, great idea. 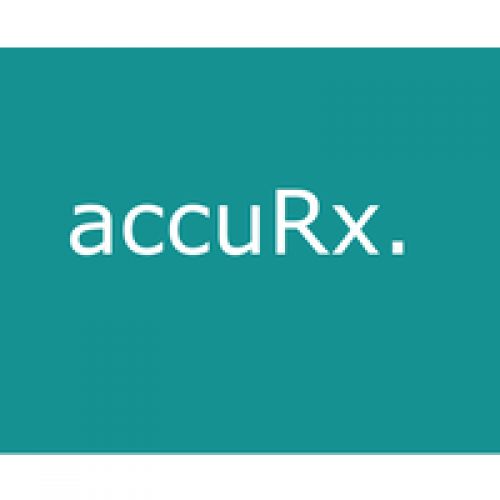 I Received an e-shot - was sceptical at first but noted that accu.Rx are an emis partner co & this is a new product. Activated via EMAS so safe / assured. Initially giving away free access to base system. 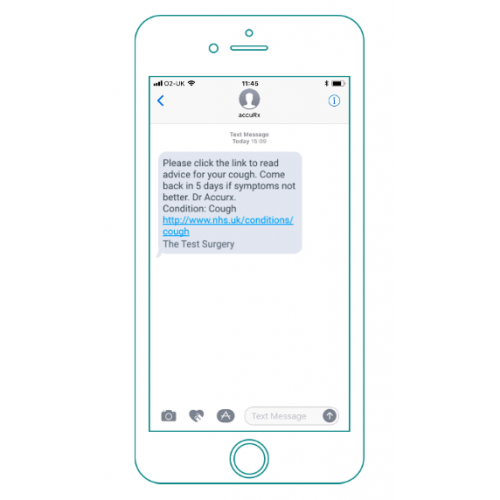 Allows you to send instant texts to patients from icon that hovers over emis - some pre-popluated templates or can amend / customise - very fast & effective & populates immediately into consultation - Staff & Doctors love it! Excellent tool for contacting patients! Reducing staff time by trying to get hold of patients by phone. All recorded in the patient record too! Fantastic ! Thank you for updates.accuRx.is a very useful tool. It's so easy to use and definitely works "it's the best thing since sliced bread", even the doctor uses it when he wants a patient to come and see him. I definitely recommend accuRx. 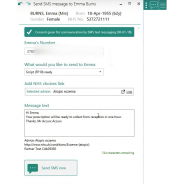 This is an excellent EMIS partner API service which allows users to send free SMS text messages to patients and record these messages directly in to EMIS. There are also very good prepopulated template messages which can be selected for quick messaging. The product works really well and is extremely useful particularly when we make failed calls to mobile phones. I just hope this service will continue to be free. Accurx are a very innovative company and their chain SMS software has been designed with practices in mind. One of the best features about this company is their responsive nature and their desire to constantly improve. This text messaging service is excellent! its quick efficient and convenient. I most defiantly would recommend this to everyone in NHS. Really useful, saves a lot of time and money on stamps. People ask to be text information as it easier than allocating time for a phone call. Amazing product and the clinicians love it. Saves everyone time. Totally love this messaging service. It is convenient, quick, easy to use plus it puts an entry straight into the patient's notes. Brilliant! User-friendly, intuitive, versatile, and fast. AND FREE! I find accuRx great for messaging, much better than Mjog and I an happy to hear that they are working on batch messaging. I also love the message length as it make it much easier to use this for a wider range of things we need to communicate to our patients. Mjog is very limited in that respect. However, I am struggling to gain access to the enhanced features despite sending multiple messages to all the EMIS practices i know of locally. I am also a bit concerned as the feedback we get from accuRx saying we have only sent a few messages. We use this right across the practice for individual messages (instead of Mjog which we also have) but there is no audit trail to say the message has actually been sent other than the entry in the patient record. In Mjog at least there is a trail of sent, undelivered etc. I know it is early days and I think that accuRx will one day overtake Mjog but at the moment there are still a few things which need ironing out or updating. I am really impressed with this new service. The text messaging service is quick,efficient and simple for staff to use, as its linked to our Emis software it attaches the text to the patient record immediately and we are finding patients respond much quicker reducing the amount of tasks reception have to call or write to. accuRx is a great help to the practice and it's free! All our GPs are using it. 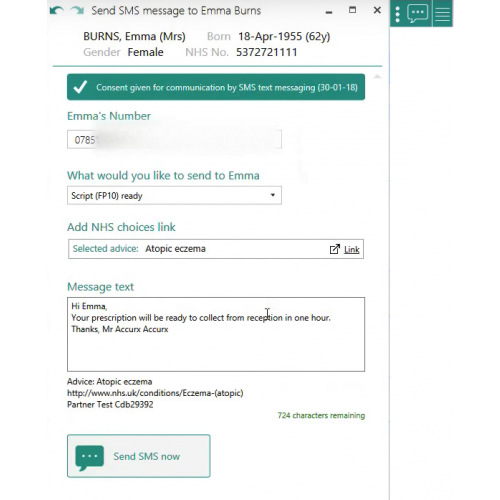 Now instead of replying to a task from reception to tell the patient about medication or test result, the send a text. It really has made a huge difference. Next to begin using it will be the reception. An excellent service, very easy to use and allows messages to be sent to patients at short notice. It is excellent. We use it a lot. It's especially good for sharing information that usually we used to print and give t patients such as patient information leaflets or information about results. Patients number can be confirmed during the consultation and the message can be sent to them immediately. It is quicker as well. It has changed the way we do things at our practice. 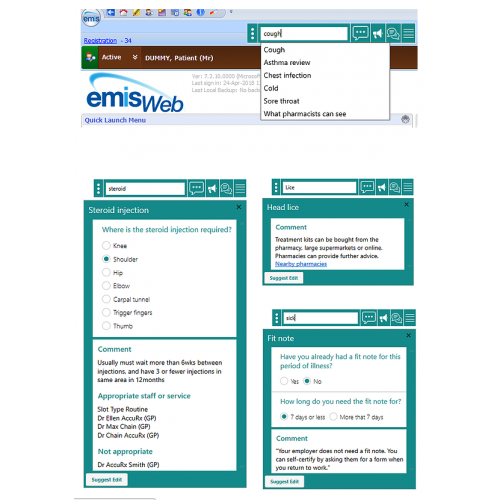 GP's and nurses love it, admin staff love it too as its less work for them The best part is the text is entered into Emis notes automatically. It has a tiny window which stays on top of Emis and automatically gets the patient details when you open their records in Emis. We have been using it for 2 months now and its really good. We are just using the send text part of this app so far and I wholeheartedly recommend it. As a GP it's great for letting people know quick mainly transactional things like a problem with a repeat prescription or about a result which would previously taken a phone call but for our admin team it is revolutionising call and recall for LTCs- give it a try! Excellent App. Has really saved me a lot of time. I also am able to text diet sheet links/exercise links/otc recommendations whilst the patient is in my clinic so it goes straight to their phone and not give them a piece of paper which they can sometimes lose. Great for saving time with reviewing results. Great APP! Excellent resource for containg patient, giving information about the management of their conditions via a weblink. It saves the time receptionist use to write to pateint to come in. There is a record of the text/info sents straight unto the patients record. Excellent. Very useful resource. Patients love it. We are trialling the system with a limited number of clinicians at the moment and so far we have found the system to be very user friendly and versatile. I cannot wait to roll this out to the whole practice. Brilliant Brilliant Brilliant!! what a great time saver. Very easy to use and love the option of attaching different nhs links for patients. These guys product is ace, totally integrates with EMIS web and lets me send messages to patients at the drop of a hat. Thank you for making my life easier! Integrates very smoothly with Emis. Outstanding and simple software. Integrates beautifully with EMIS Web. Easy to install and use. Very impressed! 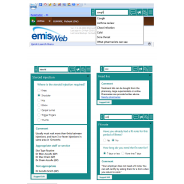 Really effective and intuitive texting system with good character limits and good integration to EMISWeb. Transforming patient education with textable links to PILs instead of printouts. Character limits allow meaningful clinical information to be delivered with a low call-back rate. Texts appear as consultations, so there is clarity for team working and medico-legal risk management is superb. Love this software. Everybody in the surgery loves how simple it is to use and that it saves actual time. This is not vapourware.